Drink in the most picturesque sights in Florence while sipping authentic Chianti on this private wine tour through the cradle of the Renaissance. 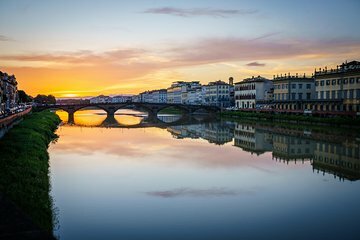 Learn about the city’s long and artistic history from an expert guide as you walk past famous landmarks like the Ponte Vecchio and Pitti Palace, plus the uncrowded districts of Oltarno, Santo Spirito, and San Frediano. Enhance the journey with stops at several wine bars and cellars to taste Tuscan wines along with typical Italian snacks.